Android launcher is the most amazing thing invented in the android phone. It literally gives the news look and feel to the phone. You feel as such you have new phone into your hand. So, don't you wanted to go through such feeling and experiences daily ? 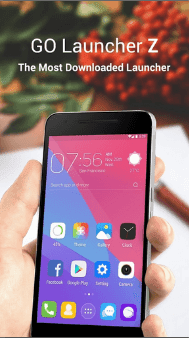 If I was at your place I would definitely go with it and download and install best android launcher suitable for my android phone. I hope you are enjoying reading this tutorial so far because the fun part has just began. Today I will give you 20 best launchers for android which you definitely download and install on your phone. P.S I recommend you to bookmark this page, as it will be updated as soon as new android launcher will come in the market. So, just make sure you don't miss them at all. Do you liked these articles ? Do let me know in the comments below. But for now lets talk about android launchers only ! Note : I will show you top 20 best android launcher 2016 today, whose priority is from top-bottom. So start using launchers from top only. 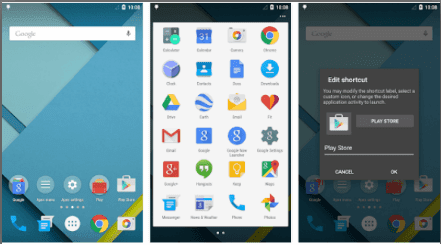 This android launcher is seen on many best android niche specific sites. According to android central "action launcher 3" is best android launcher 2015. But this still is ruling in 2016. This is more powerful and flexible then any other launcher and it oozes material design too which gives it an amazing look. You can search for your favorite content i.e music, contacts, social media apps etc directly for the action bar. Action Launcher 3 replaces your homescreen with a colorful, customizable and speedy app. Not only this the flat icons made it best launcher for android 2016. Try it out for free! Download Action Launcher 3 from Google playstore. Look at the snap shot above. Isn't its awesome ? Try it for free ! Download Apex Launcher from Google playstore. 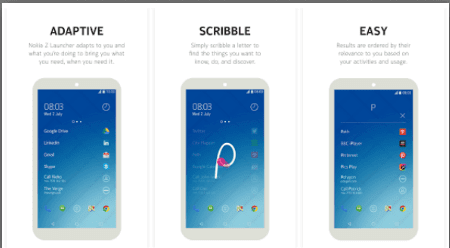 Stylish, Smart, Slim, Let’s GO Launcher! (amazing tag line, Isn't it ?). Its new flat interface design with interactive control experience, enhance the performance and efficiency significantly, insert more awesome and useful features to get the users closer. So, now say goodbye to the past and previous apps. It provide you a brand new personalized mobile operating experience. GO Launcher is the common choice of 200 millions users over the world. I'm sure you do not want to miss this. Download Go Launcher from Google playstore. Google Now is developed by Google Inc. as the name tells the whole story. Google Now is fast and has clean home screen that puts Google Now a must use launcher. 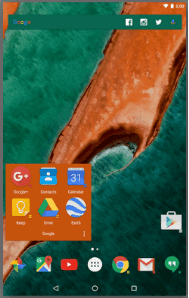 Download Google Now Launcher from Google playstore. This is becoming most favorable android launcher 2016. You can't beat this. 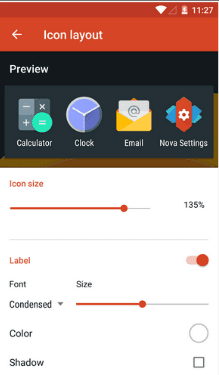 Nova is highly customizable, performance driven, home screen, embracing full material design. It will replace your home screen with one you control and can customize. It will change icons, layouts too which gives it more real look and feel. Download Nova Launcher from Google playstore. 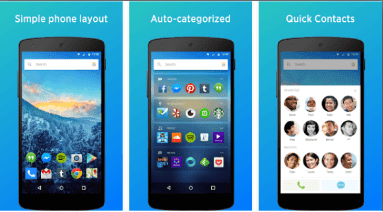 Speed up your device with Smart Launcher 3. 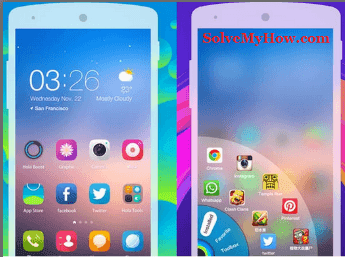 This innovative launcher, makes your android device more intuitive and well organized. It had already been downloaded by over 20 million people and still counting. Download Smart Launcher 3 from Google playstore. This launcher is developed by yahoo engineers. Yahoo Aviate automatically organizes your apps and information so you can save time and quickly find what you need, when you need it. Better everyday — Your homescreen will look and feel very different. Download Yahoo Aviate Launcher from Google playstore. Give your android phone a windows look. Launcher 8, is an excellent app for you to experience the Windows phone UI style on your Android devices. It will make your Android phone's homescreen looks like a windows phone. 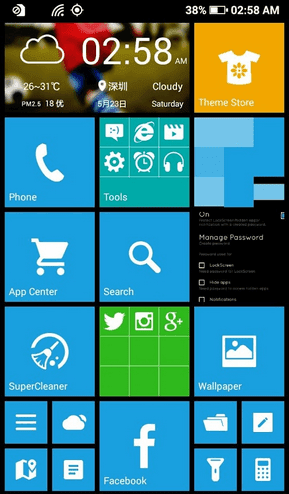 Its fast, clean and you can customize personalized Windows phone layout for your Android phone. Just surprise your friend with the new desktop on your android phone! Download Launcher 8 WP sytle Launcher from Google playstore. Line is popularly know for stickers and doodles. This is official Line launcher made by Line Inc. Its time to convert your dull android screen into brand new twinkle. This was previously known as dodol launcher. This launcher will give you 3000+ wallpapers, stickers and themes. So, if you're a theme, wallpaper or sticker lover. Nothing can be best for you except this launcher. Download Line Launcher from Google playstore. This is Nokia Inc. product. A re-imagined way to use your Android. It is faster, launches anything in one second. Download Z Launcher from Google playstore. Are these launchers for android are useful ? Indeed they are useful as you can see it really gives new look and feel to the phone. You can customize you phone as you want. This is really the plus point of android launcher's. So, these were 20 best launchers for android 2016, you were looking for. I hope this tutorial helped you to give new look and feel to your android device. Just use 2-3 launcher's at initial stage and if you liked it, try other launcher's too. Keep one launcher for a week then change it and use another. In this way you can give new look to your phone every single week. You can also subscribe for SolveMyHow newsletter to get latest updates about android, whatsapp, IOS and facebook right into your inbox ! I used CM Launcher. it is best. Thanks for stopping by and commenting. Thank you for your feedback. Do share this post with you social media friends !